PB Dye Golf Club in Frederick, Md. 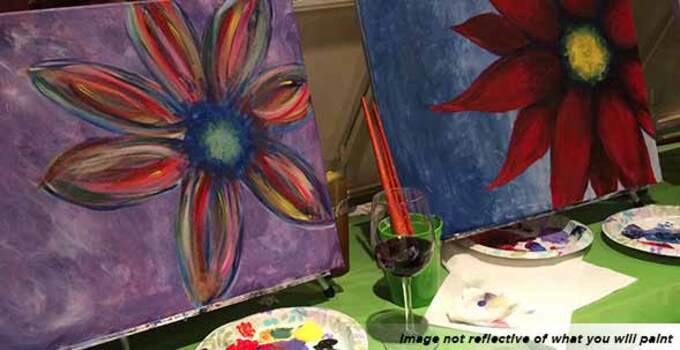 is hosting Paint Nites on Saturday afternoons set amidst the backdrop of Sugarloaf Mountain. Every Saturday a painter is brought in to teach 30+ people how to create a particular painting. Creations such as the “Island Shimmer,” “Cherry Blossom Reflection,” “Paris Lights,” and “Bridge In The Fall” are a few examples of what images come together while participants also get to eat and drink. One ticket cost $45 and the event takes about 2 hours long. One of the great things about Paint Nites is that there is no mess and the Paint Nite company does much of the work. Non-toxic, acrylic paints are used that can be easily cleaned with a sponge and water. The company comes one hour early to set up and stays an hour later to clean up. Suzanne Earl is the painter who helps instruct the students at PB Dye as they recreate some beautiful scenes in nature.